 Log In needed Black Ops V2.0 at Exit! You wake up in an abandoned military compound. You have no idea who you are or why you've been brought here. After rifling around a little bit, you learn that you were an agent and your memory has been wiped. You must find out what happened to you, who betrayed you and then escape the compound alive. Do you have what it takes to escape? 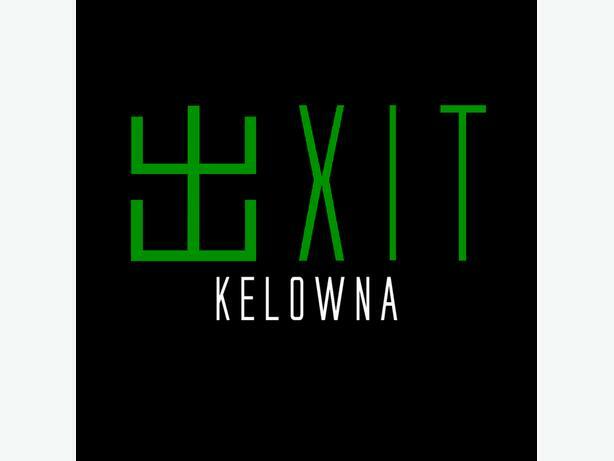 Come check us out at EXIT Kelowna! From the moment you step in, your team will be transported into a universe beyond your wildest imagination. There are different ways to explore the world of EXIT. You will discover exciting clues and challenging puzzles to display your marvels and artistry.